Brides Desire "Cassandra" wedding dress. 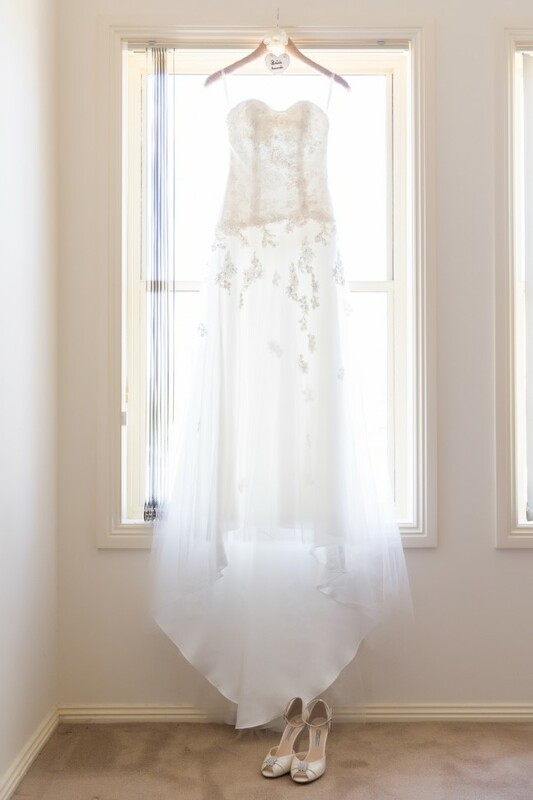 Strapless sweetheart neckline down into A-line skirt with beautiful lace, pearl and beading detail on bodice. The underskirt is satin with a tulle layer over the top, with a small train. Dress was dry cleaned, wrapped and boxed a week after wedding and is in excellent condition. Please email for further detail or pictures. Dress has been taken up a small amount on the bottom hem.